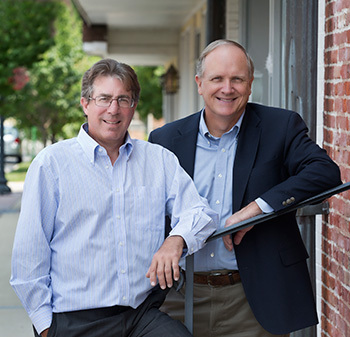 In 2000, Jack Wilson and Michael Sheward decided to combine their complementary expertise in business operations and technology to form a unique new business. Together they founded Central Indiana-based internet technology company Solutions4ebiz (S4e) with a specific goal in mind: To help clients strategically select the best technology solutions to move from managing technology to managing business growth. Solutions4ebiz develops and delivers technology solutions for internet service providers and small- to medium-sized organizations across the U.S. and internationally. The company offers website design and development, custom software development and support, managed web hosting, and market-leading expertise in hardware and software distribution. A business' internet "footprint" starts with a website. Digital Yardstick by Solutions4ebiz provides design and development, seamless management on Joomla and WordPress content management system platforms, SEO and internet marketing support, and secure, managed hosting. From start to finish, S4e ensures your web assets work for you and stay up, running and delivering the results you intend. The S4e technology services team also provides custom programming and applications as well as support of orphaned applications. Solutions4ebiz has also developed strategic relationships to deliver tools and products needed by network operators to run their businesses efficiently and affordably. Our Distribution Solutions are driven by a consultative approach in assisting operators with growth, management and sustainability. S4e is more than a distributor or reseller of products. We offer comprehensive solutions for Internet Service Providers (ISP) and Wireless ISPs (WISP), telephone companies, and cable companies with focus on Billing and Operational Support System (B/OSS).